A resurgent Benelli unveiled a slew of new two-wheelers at the ongoing 2015 Milan Motor Show, but for us Indians, nothing can possibly be more pertinent than this: the Benelli Tornado 302. For one, it is the first fully-faired offering from the Italian marquee since the Tornado 1130, and that was more than a decade back. And then there’s the fact that the Tornado 302, thanks to it being a much smaller capacity motorcycle, is ideally suited for the booming beginner sportsbike class. This segment, for sport-inclined teenagers and early-20ers who are onto their first motorcycle licenses, has hitherto been dominated by the Japanese big four, and Benelli clearly wants a slice of this lucrative pie. Powering the Benelli Tornado 302 is an in-line two cylinder 4-stroke 4-valve DOHC Benelli engine, producing 36 PS of peak power at 12000 rpm and 27 Nm of max torque at 9000 rpm, mated to a 6 speed gearbox. 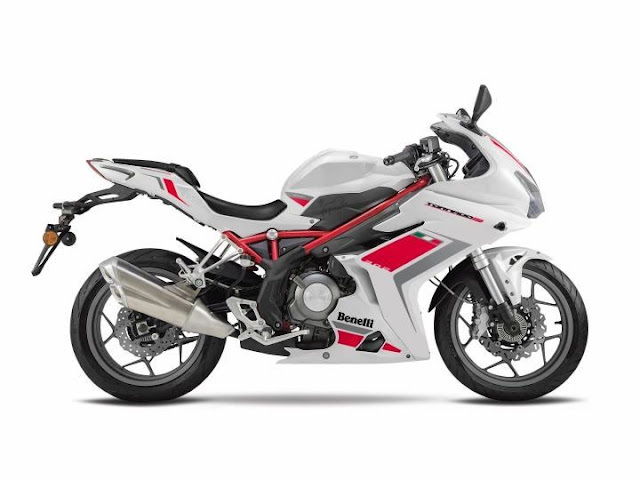 Benelli unofficially claims that the Tornado 302 will have a top speed of around 170 km/h, which is a tad optimistic, in our opinion, considering its unladen weight of 180 kgs. Suspension duties are handled by 41mm upside down forks upfront, and a lateral monoshock at the rear, adjustable for preload. Braking is via 260 mm floating discs with a 4 piston caliper at the front and a single 240 mm disc with a single piston caliper brake at the rear. Tyres are 110/70 and 150/60 at the front and rear, respectively, mounted on 17-inch wheels. It is a pretty machine too, draped in all-white finery with tasteful red and grey accents sprinkled here and there. The headlight unit appears a bit large but, other than that, it is fine piece of Italian machinery all the way down to those single exhaust pipes with twin ports. Seat height is an accommodating 790mm, which is something smaller Asian and Indian riders will appreciate when the bike is launched here. 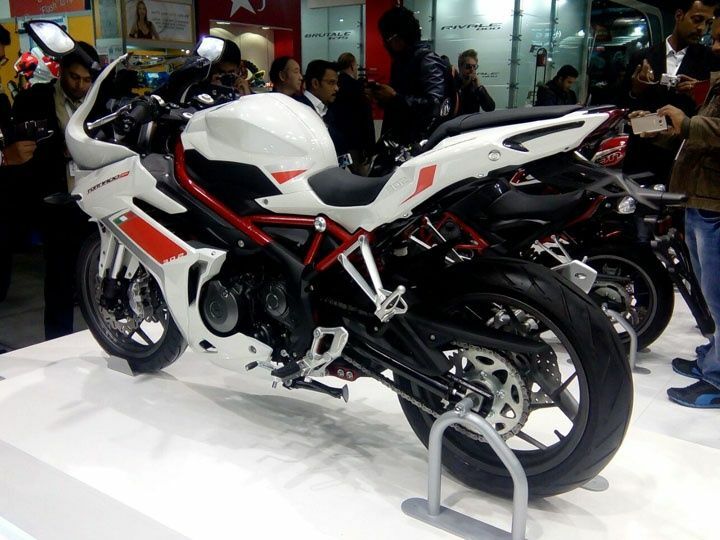 That should happen sometime later in 2016, and Benelli promises that ABS will also be on offer on the Tornado 302.